Have a cool horseback trail that you've explored? We are making it a goal to publish trail riding articles from every state on Equitrekking.com as a part of the "50 State Trail Riding Project". We want Equitrekking.com to serve as a resource for people who want to head out and horseback ride. Help us by sharing your story! Want to know about great trail rides in your own state or another locale where you'd like to travel? It could be a trail riding location where you can bring your own horse or hook up with a local stable to ride one of theirs. Exploring a place on horseback can be an amazing adventure, bringing you closer to nature, local people and an equine friend. Trail riding Antelope Island State Park in Utah. We've spent years traveling the world with Equitrekking, taking viewers on horseback riding adventures and educating folks on the variety of accessible equestrian adventures that they can enjoy, but our small, dedicated team can't get everywhere. That's why we're enlisting your help. Do you have a fun or favorite trail ride you want to share? Represent your state or a state you've visited and send us your trail riding story as a guest post for Equitrekking. 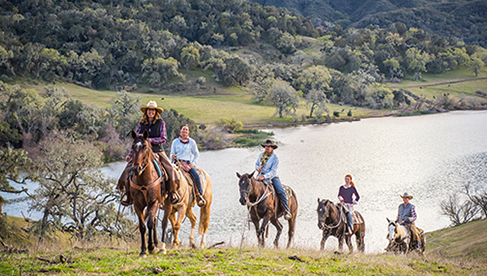 It's a great way to share a great trail with others, so they can get out and enjoy it too, because the more we utilize our great American trails, the more likely that they will remain open for horseback riding. Here's an example of an article about trail riding in Delaware from Mary Everhart of the Delaware Equine Council- My Favorite Horseback Rides in Delaware and you can read more in the new section of our website devoted to Equitrekking's 50 State Trail Riding Project. Here are some sample articles about trail riding across the USA that we really like. So be part of the "50 State Trail Riding Project" and share a great trail with the Equitrekking community on Facebook and the world. Learn more about writing a guest post for Equitrekking.com. Have something in mind? Please contact us. Travel Deals: Exclusive ranch and horseback riding vacation discounts you won't find anywhere else. Planning a trip, start here first. 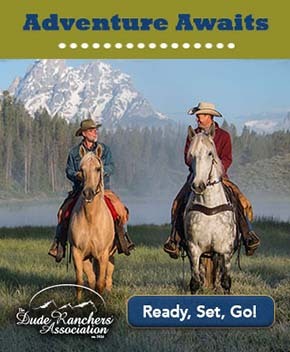 Equitrekking Vacation Guide: Online Guidebook to great dude ranches, guest ranches, cattle drives and riding vacations. 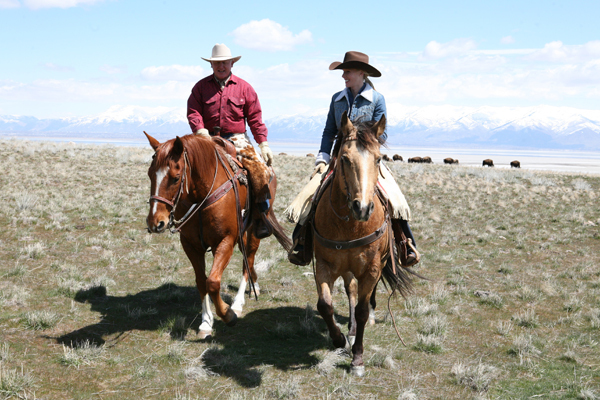 Top20Ranches.com: 20 of our favorite dude ranches across North America. EquitrekkingTravel.com: Exceptional international riding vacations and a travel agency to help match you or your group to a trip.